Is your home in NW6 filled with waste and clutter? Are you struggling to find the time to get rid of it? Are you moving, refurbishing your home, or just looking for more storage space? 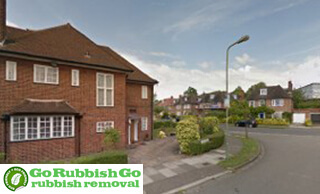 Go Rubbish Go can help you to make the most of your property with our cheap Hampstead house clearance services NW6! Our company has years of experience, talented teams and many perks to help clear your house to perfection. We’ll save you lots of time and effort, and we can even make sure you get yourself a bargain too! Our house clearance company is fast and effective, and we’re ready to help you get the home you’ve always wanted, without you having to lift a finger. Contact us now to reserve your appointment – call 020 8610 9182 anytime to book. Clearing out your home in NW3 can be expensive, especially if you need to hire a van or a skip. We offer complete and cheap services that mean you don’t need to spend more than you need to. We offer low and affordable rates across every house clearance Hampstead, NW6 that we have to offer. We’ll make sure your money goes further, with cheap prices and exclusive special deals that will ensure you’re getting the best value in NW6. 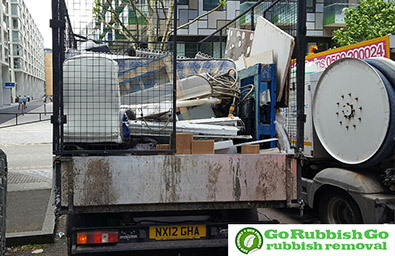 With lots of reasons to hire Go Rubbish Go, including no hidden fees and free price estimations available – with no obligation needed – you will be impresses with our Hampstead house clearance services. See how much you can save today! What makes our firm the best choice for you? We offer a range of house clearance NW6 services that are professional, reliable and our team are fully vetted and experienced. We’re committed to providing the best services for all of our clients, and we’ll work exceptionally hard to make sure you receive the highest-quality of service, and it’s all thanks to our talented and passionate team, professional equipment and dedication. We’ll collect and dispose of all of your waste to leave your home looking better than ever. If you want affordable NW3 house clearance help Hampstead to save you time, simply call and book today on 020 8610 9182! Speak to a specialist now to find out more information! There’s nothing worse than needing a service and not finding one available when you need it. 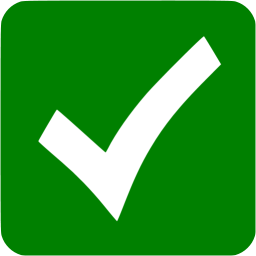 Our experts pride themselves on their flexible availability, and we can assist you whenever you need our help! Whether you need to book us on an evening, weekend or even on a Bank Holiday, we’ll clear the rubbish from your home at a time that suits your busy schedule. A house clearance NW6 from our team is fast and effective, with guaranteed results to leave your home looking clear and mess-free. We’re even available for life’s little emergencies, with same-day house clearance Hampstead services to help you with builders waste, garden junk and more. Don’t compromise – hire our specialists today! Hiring our company in Hampstead will allow you to find the efficient house clearance services that you’ve been looking for, but did you know we’re also dedicated to providing greener clearance help? More and more companies are making efforts to provide eco-friendly help for their clients, and our Hampstead, NW6 house clearance company is no different. By utilising low-emission vehicles and vans, and recycling most of the items we collect, we’re able to make sure that your clearance won’t have a negative impact on the planet. We’ll sort your waste and dispose of it legally and ethically, giving you nothing to worry about when you hire us. If you’re keen to find out more about how we strive to be greener, call us on 020 8610 9182! 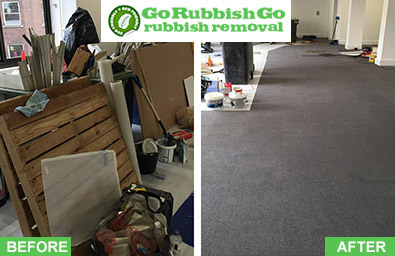 Hire Go Rubbish Go for your home today and say goodbye to all the rubbish in your home! 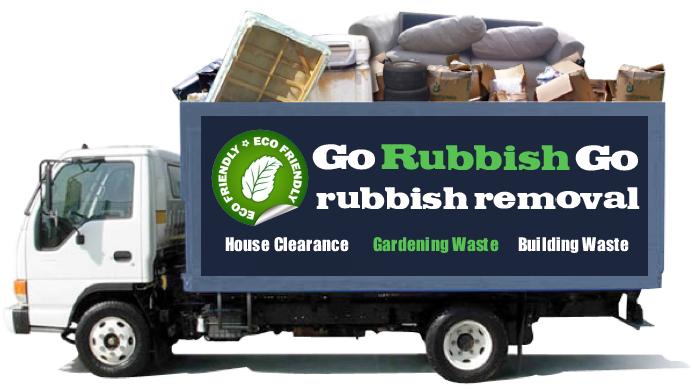 If the waste, junk, unwanted goods or rubbish in your attic, garage, garden or even living room are causing you stress or worry then we’re the team to call! We work quickly and discreetly, with affordable NW6 house clearance services that never disappoint. Lots of people have already chosen us for their NW6 house clearance Hampstead, and with award-winning services and the friendliest, most dedicated teams, we’ll transform your home without charging you the earth. Contact our team today and make your booking– call 020 8610 9182 now and enjoy the top quality house clearance help that you and your family deserve! Hampstead, also known as Hampstead Village, is an area of North London and it is located within the London Borough of Camden. Hampstead is largely known for its artistic, musical, intellectual and literary associations as well as for its beautiful parkland, Hampstead Heath. Its housing is some of the most expensive in the whole of London and many millionaires live here. It’s easy to see why as it is such a beautiful area and boasts a great number of attractions such as Christ Church, Fenton House, Freud Museum, Kenwood House, Everyman Cinema, New End Theatre, The Flask and many more. It also has a local railway station, Hampstead Heath Railway Station.